Kudos, Filipinos and Philippine government! I see both negatives and positives in our country but I'm patient and understanding. for this one, I'm proud to be a Filipino! 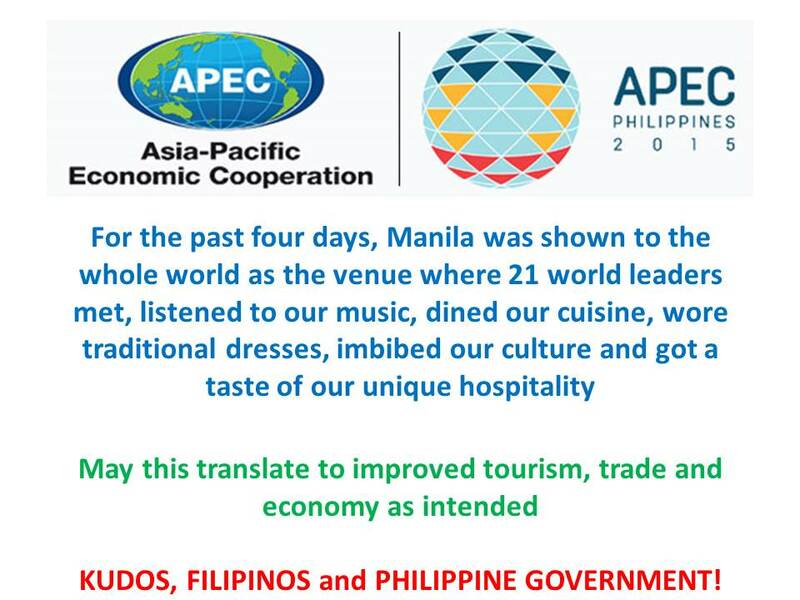 The APEC summit could open doors to future tourism.